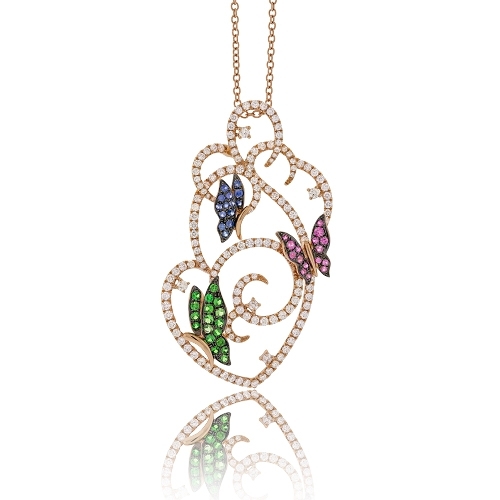 Open 18k rose gold scroll pendant set with brilliant diamonds and 3 perched butterflies set with colored sapphires & green garnet gemstones. Diamonds approx. 2.07ct. Pendant 2"